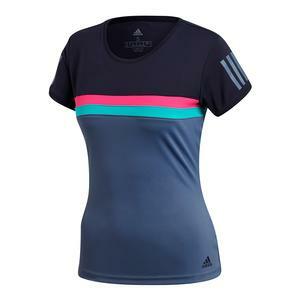 Show off your impeccable taste in the adidas Women's Club Tennis Tank in Legend Ink. The vibrant color blocking at the chest and back looks beautiful against the dark blue background, giving you a fun and trendy look. 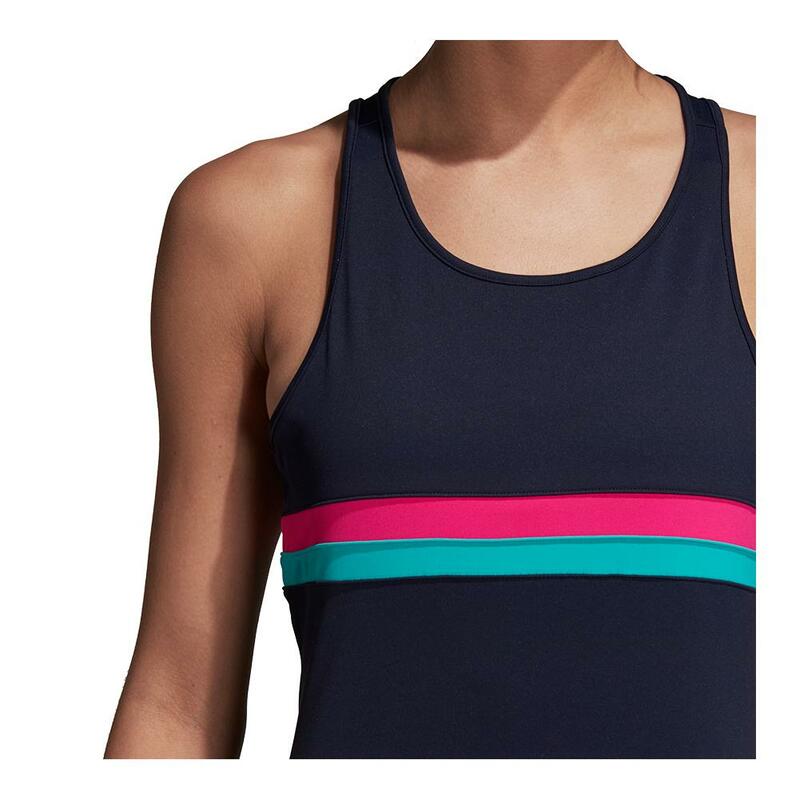 The scoop neck adds to its flattering appearance, while the racerback allows your arms a free range of motion. 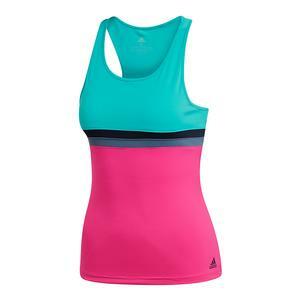 The tank is made with sweat-wicking Climalite fabric to keep you dry and cool every step of the way. The super-soft material and UPF 50+ protection against harmful radiation will ensure that you can spend long hours on the court comfortably and distraction-free. 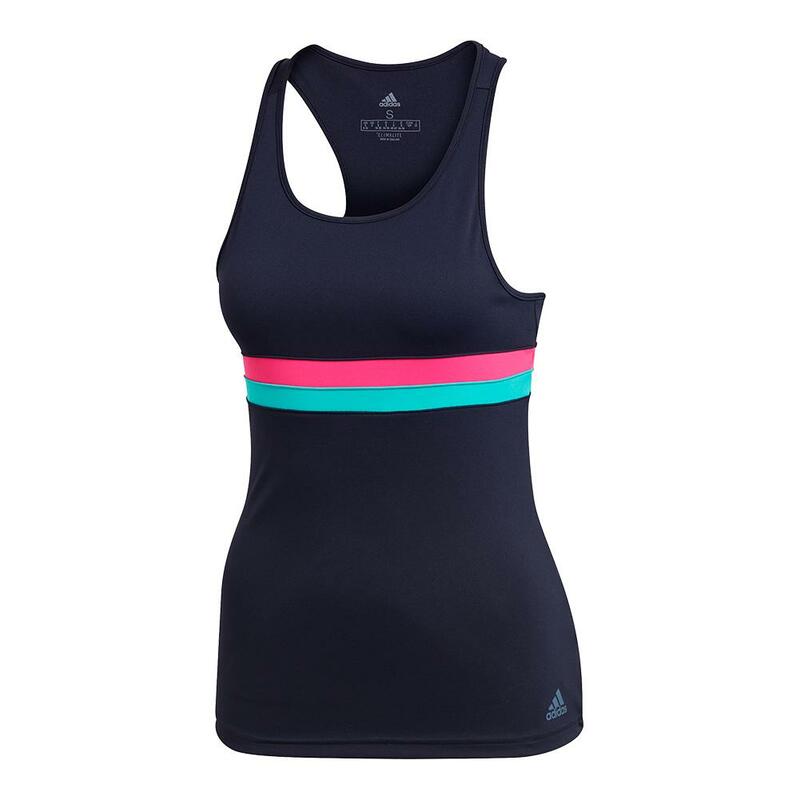 This tank is manufactured using 100% recycled polyester to give you performance and function in an environmentally responsible package.